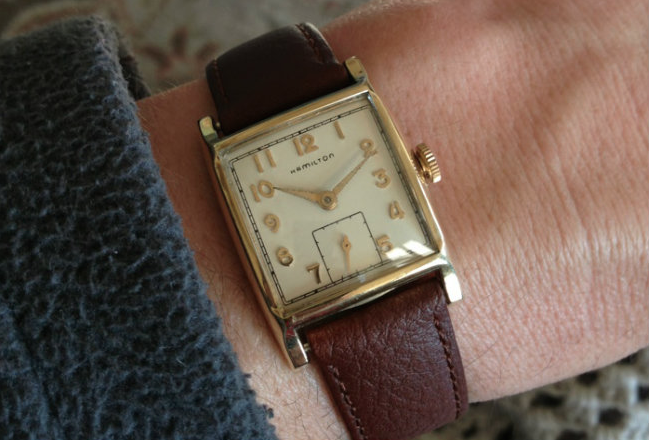 Vintage watches tend to be a little on the small side - especially when compared to today's modern versions. I think the smallness "peaked" in the 1940's and early 1950's although the trend probably started when Hamilton introduced it's narrow 14/0 sized 980 and 982 movements. 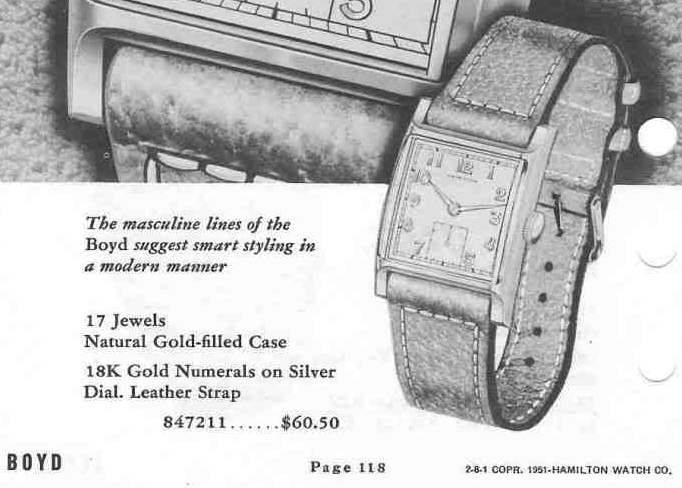 One of the larger small-watches is the 1951 Boyd. I like saying the name as it always reminds me of "look at the pretty boyd". It was only produced for two years. The Boyd came in a 14K yellow gold filled case. The sterling silver dial is finished in white with solid 18K gold numerals. Behind the dial is Hamilton's 8/0 sized, 17 jewel 747 movement. This movement replaced the larger 6/0 sized 987A in 1947 and is probably my favorite movement - as it's the easiest to learn about. I think the Boyd is a very nice, simple looking dress watch. My example below is engraved "The Best of Texas Golf, 1951"